Hemp. It’s still pretty new to the Palmetto State. Growers just had their first harvest of it here since the 1930’s. “It was a lot of trial and error, a little bit of research. 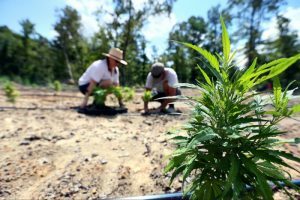 Hemp being brand new in South Carolina since World War II era, we’re learning a lot,” said Wyatt Sage, the growth supervisor for Palmetto Harmony. Palmetto Harmony is one of the 20 hemp growers selected for South Carolina’s pilot program. “Most surprising thing we’ve had happen here? Really just the problem of everybody thinking it’s marijuana has been a pretty big surprise,” said Sage. Not only has Sage learned this first season growing hemp, he’s been trying to teach about what it is. “It’s really cool to talk to people who don’t know much about hemp or the CBD,” said Sage. Hemp is a plant used to make CBD oil, which the FDA just cleared as something that can be used for medicinal purposes. It does not have intoxicating effects. “We’re not doing anything crazy. We’re just trying to make some holistic medicine,” said Sage. But not everyone realizes that, which is why some hemp farms in South Carolina have had theft issues. “I have no idea why people are stealing it, I really don’t. It’s pretty foolish. It might look a little like weed, it might smell a little like weed, but it’s definitely not going to get you high if you smoke it like weed,” said Sage. Palmetto Harmony hasn’t had a problem, but has security cameras and fences just in case. “I hope they keep expanding the acreage that we’re allowed to do. And then people will, you’ll start to see the farmers going from growing hemp for CBD and then I think they’ll open it up and start growing it for fiber, and fuel and food,” said Sage. Twenty more farmers will start growing hemp in South Carolina starting next year.